Fifty years after the creation of the United Nations, there exists a vigorous debate as to its limitations and possibilities. 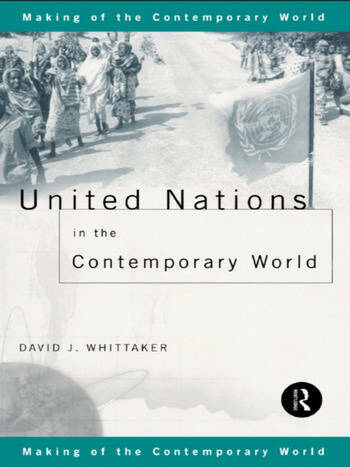 In United Nations in the Contemporary World, David J. Whittaker examines how the UN works and assesses its position as a world organisation. With an annotated bibliography and a helpful glossary United Nations in the Contemporary World provides an interdisciplinary history of the UN and debates the key issues for its future. David J Whittaker gives a cogent analysis of how the UN addresses today's world problems and how it can adapt for the future.